A time for health and fun, Cigna joins with the City of Houston in an initiative to promote and improve health. 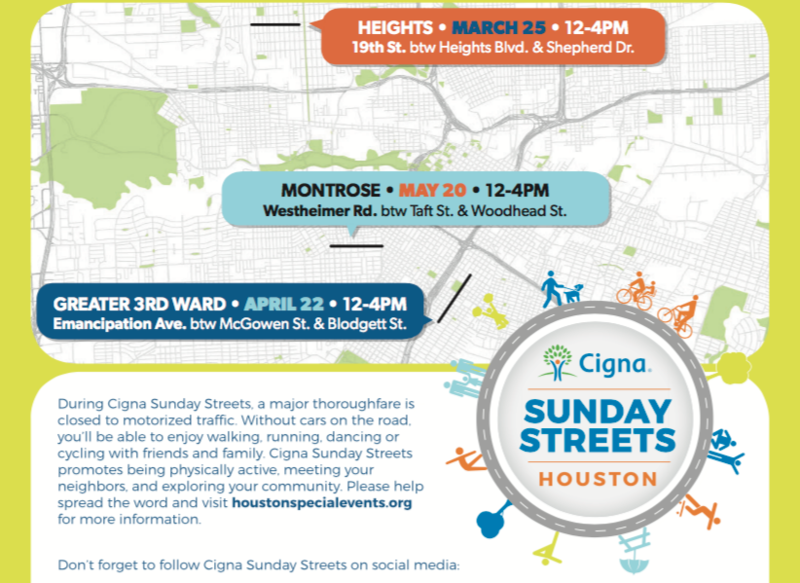 Cigna Sunday Streets Houston opens a stretch of streets normally reserved for cars and other vehicles to allow cycling, walking, dancing, and socializing in a family-friendly opportunity to be physically active. This year’s “healthy fun” is in three locations: The Heights, Montrose and Historic Third Ward. The streets for Third Ward are Emancipation Avenue between Blodgett and McGowan.